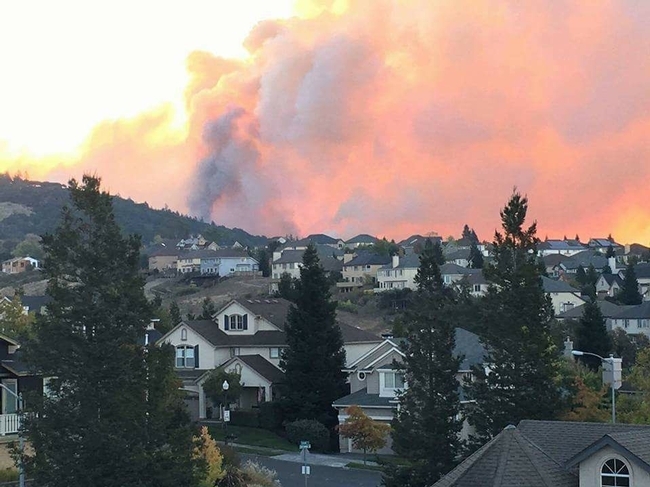 In August, the Clayton Fire burned nearly 4,000 acres and 198 homes and businesses in Lake County. In 2015, the Valley, Rocky and Jerusalem fires together burned 170,623 acres and destroyed 2,078 structures. But the devastating Lake County wildfires haven't put a damper on fishing at Clear Lake, which reels in roughly $1 million to the community annually, according to a report from UC Cooperative Extension. Giusti's report outlines the economic value of fishing on Clear Lake, highlighting the importance of the outdoor pastime to the local economy. Bass, crappie, catfish and bluegill thrive in Clear Lake's warm water, with its rich plant life and abundant food supply. “People come from all over the country to fish Clear Lake,” said Giusti, who studies fisheries and freshwater ecology. Teeming with fish, Clear Lake's reputation attracts serious anglers. Bass Master Magazine (July/August 2016) rated Clear Lake third out of the top 100 bass fishing lakes in the country and first among the nine western states. Adam Giusti holds a fish he caught at Clear Lake. Each angler spends $58 per day on average, according to U.S. Fish and Wildlife Service. 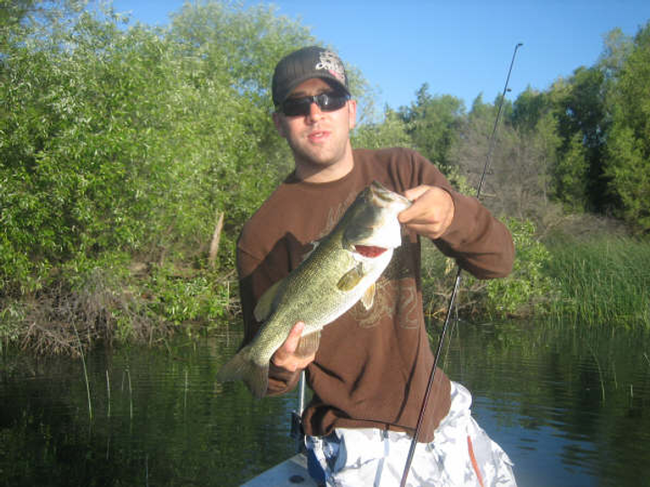 Based on a conservative estimate of the number of anglers and multiplying by $58.16, (the U.S. 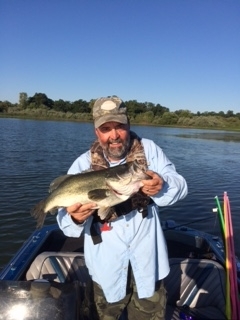 Fish and Wildlife Service's estimate of an angler's average daily fishing-related expenditure), Giusti concluded Clear Lake fishing is a $1 million enterprise. He considers the true value of fishing on Clear Lake to be much higher because limited data was available to understand the full economic value. To estimate the number of anglers, Giusti doubled the number of quagga mussel stickers sold and added the number of people registered for Clear Lake fishing tournaments. Before entering the lake, boats must pass the county's monthly quagga mussel inspection for the invasive species and receive the sticker. Giusti assumed an average of two anglers per boat, for a total of 10,156 spending $590,673 annually. Since 6,498 Lake County residents have fishing licenses, he estimated that they spend at least $377,923.68 on fishing annually. He thinks local businesses can capitalize on fishing to bring even more revenue into the community by enticing anglers and their families to engage in other activities during their visit. California Department of Fish and Wildlife collects about $57 million in fishing license sales each year. 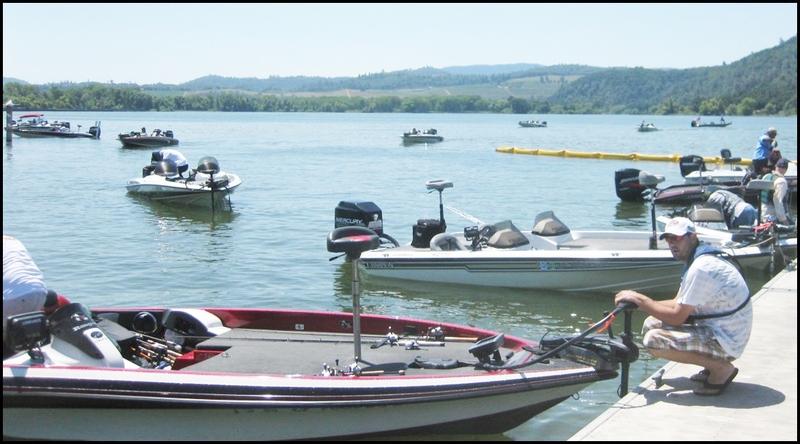 Giusti found that more than 150,000 licenses were sold in 2014 to anglers in Lake County and neighboring Mendocino, Sonoma, Colusa and Sacramento counties, which are close enough to make a day trip to Clear Lake. Businesses should market to anglers in spring and fall, says report author and fishing enthusiast Greg Giusti. Although local businesses typically gear up for summer tourists, Giusti sees marketing opportunities around fishing during the spring and fall, as the primary angling months occur before and after summer. Other California communities could also benefit by capitalizing on fishing, in Giusti's opinion. The American Sportfishing Association estimates that more than 33 million people enjoy fishing in America, and spend an average of $1,441 per year on fishing. To download the full report, “Understanding the economic value of angling on Clear Lake – A profile of a famous lake,” visit http://ucanr.edu/sites/ClearLakeAquaticWebsite. 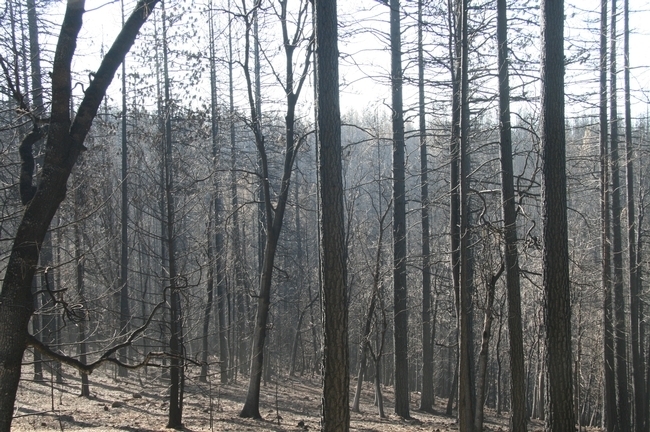 Many forest areas burned by wildfires this year are now facing a new threat – erosion. A UC Agriculture and Natural Resources expert says there are steps landowners can take to reduce the risk of losing soil and polluting waterways when rain falls. 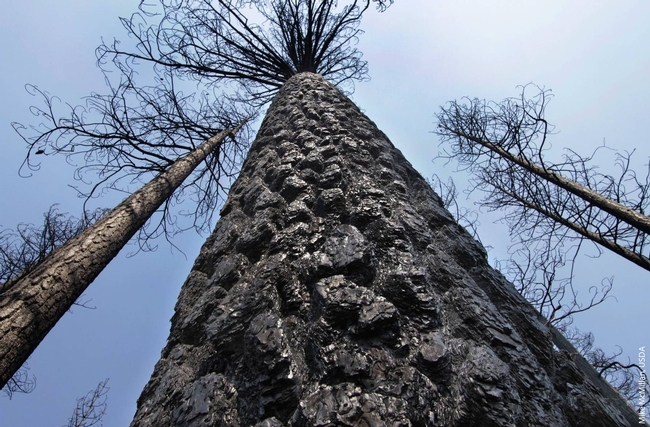 After a forest fire, burned trees both standing and on the ground, help protect the soil from erosion. A longstanding practice in the West has been spreading grass seed after a fire, however, the seed is slow to germinate and grow during the cold months that follow fire season. After losing a home, homeowners may feel the need to clean up their property. However, leaving woody debris, downed trees and limbs will arrest soil movement. Stumps and standing dead trees also help protect the soil. Spreading rice straw or weed-free hay on the ground is another way to protect the soil from erosion. Whole bales of hay can be placed in natural drainages to slow water movement and reduce erosion. Straw wattles – long tubes of compressed straw encased in jute or another material – may be laid out across a slope and secured with stakes. Omnipresent and homely, turkey vultures are a native California wildlife species that doesn't get a lot of research attention. 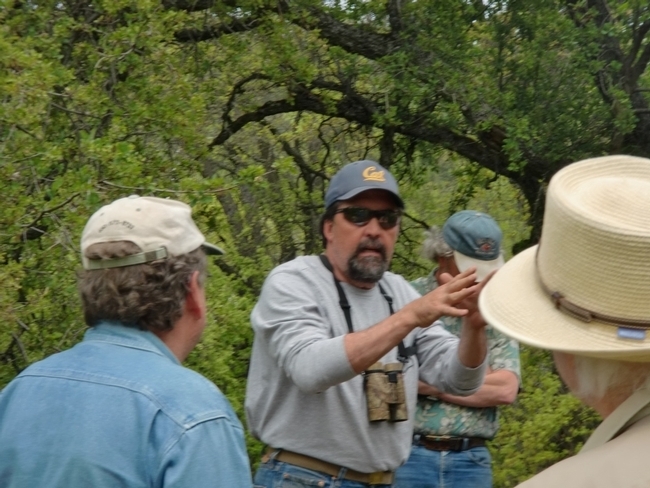 But UC Cooperative Extension advisor Greg Giusti has found a surprising level of interest from the public in his Northern California research project about turkey vultures' nesting preferences in oak woodland. 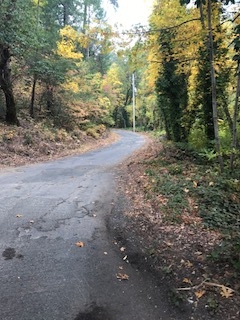 Giusti worked with Robert Keiffer, superintendent of the 5,300-acre UC Hopland Research and Extension Center in Mendocino County, to better understand the nesting habits of the red-faced scavengers. In the study area, the researchers counted 417 trees in all; seven of them had suitable nesting elements for turkey vultures. They found that the vultures at the Hopland facility select large hollow trees – either dead or alive, either shaded or in the sun – to lay eggs and rear their young. The tree species in the study included blue oak, interior live oak, Oregon white oak and valley oak. Turkey vulture nestlings deep inside a hollow tree at the UC Hopland Research and Extension Center. The nesting trees were widely dispersed and ranged in diameter from 36 inches to 65 inches around at breast height. 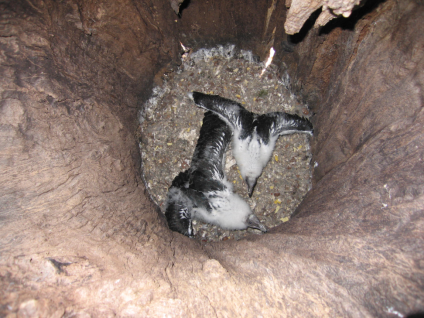 The nesting cavities are vertical tubes in the tree trunks that drop down as much as 13 feet from the entrance to the ground. “This is very different from other large birds, like eagles and osprey, who build open cup nests high up in tall trees, which they may use for generations,” Giusti said. After turkey vulture chicks hatch, the parents drop into the cavity five or six times a day to feed their young, Giusti said. How birds with a five-foot wingspan traverse a deep vertical tunnel is a mystery. Giusti said the scientists will continue to build on the turkey vulture nesting database they have started with results from this project. 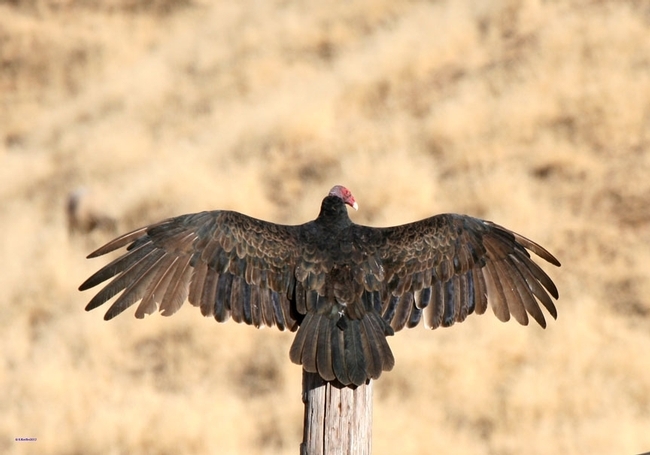 In the coming years, they hope to learn whether turkey vultures will re-use successful nesting sites and whether they may be found nesting in fallen logs or rock piles. An initiative to maintain and enhance sustainable natural ecosystems is part of the UC Division of Agriculture and Natural Resources Strategic Vision 2025.